Bowie 1917 by Cold Steel 88CSAB. 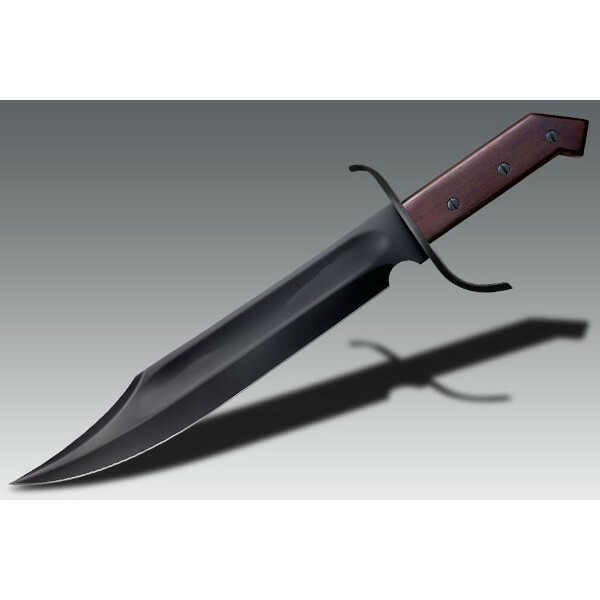 Overall Length: 17 5/8 inches, high carbon steel, black blade, leather sheath. The Frontier Bowies handle is a perfect accompaniment to its battle-ready blade. 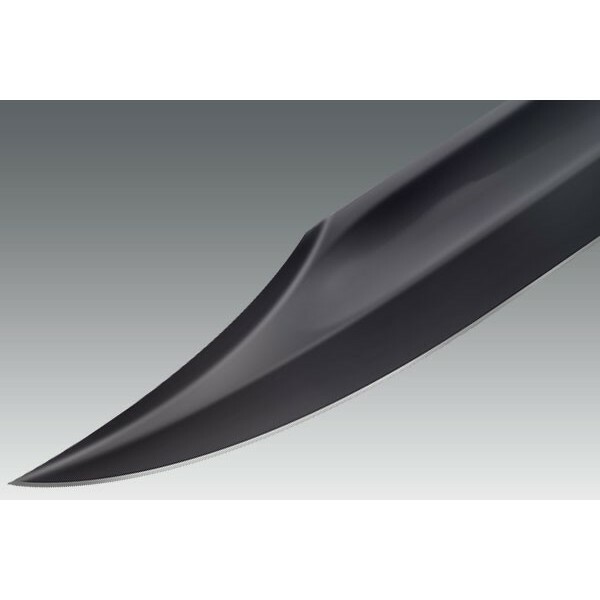 Its big "S" shaped guard offers excellent hand protection while the slim, flat profile stops it from twisting in your hand and keeps your edge alignment true even in the heat of combat. 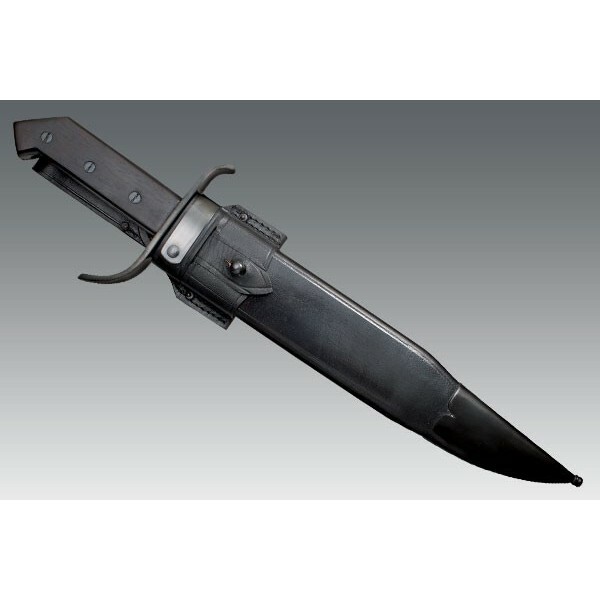 Its modified pistol grip also keeps the knife locked safely in your hand even when utilizing a palm reinforced grip for extended reach and leverage in the thrust. 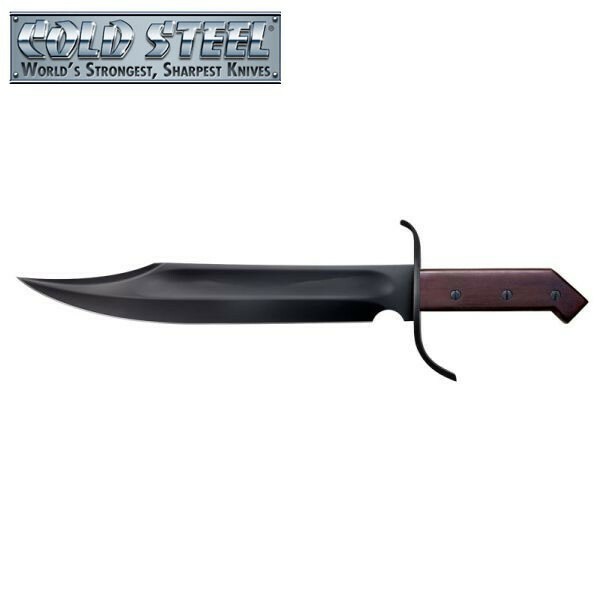 Sheath: Leather Scabbard With Blued Steel Fittings.